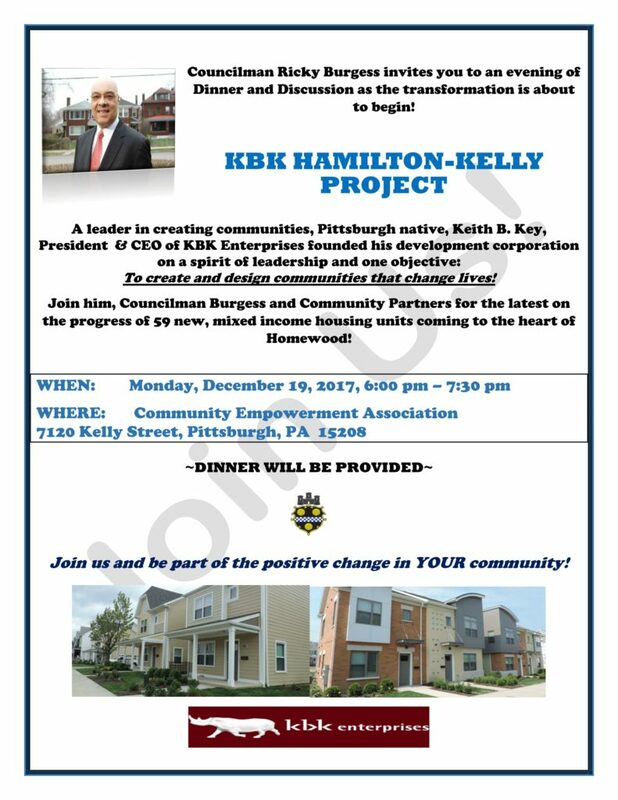 Councilman Ricky Burgess invites you to an evening of dinner and discussion as the transformation is about to begin! The KBK Hamilton–Kelly Project will soon be underway, and it will bring 59 new, mixed-income housing units to the heart of Homewood. Join us and be part of the positive change in your community.